Presenting the long sought after, groundbreaking and classic 1990 UK long-player finally remastered and reissued for 2018. London's Warriors Dance label was a unique operation and a pioneering London label during the late 80's acid house phenomena. Home to an assortment of DJs, MCs and soundmen, they went on to make their own original and indelible mark on the rave scene from the infamous 'Addis Ababa' studio on Harrow Road on the North-West side of the city. A former reggae and soul studio that was instrumental to the output of influential artists like Soul II Soul and more, a steady diet of reggae, bass, hip-hop, house and techno kept their edgy, and diehard UK sound and style right at the cutting edge of the dance music underground across the globe with the top DJs and producers of the day celebrating the label. The studio, helmed by label owner Tony ‘Addis’, acted as an incubator for artists whose names would go down in the history books - No Smoke, Bang The Party, The Addis Posse, Melancholy Man, Hollywood Beyond, The Housemaids and more all featured heavily on the label and contributed to its legendary output. The attitude and approach to the music was utterly and unapologetically a London thing, with heavy African and Caribbean influences also drawing on the sounds emanating from Chicago, Detroit and further afield. Years later, and with the advent of the internet, Discogs, Youtube and any other digital platform you'd care to mention, Warriors Dance continues to be discovered and rediscovered again by curious diggers and music heads with a thirst for heavyweight tracks to play in their DJ sets. This saw the WD mythology rise again, making their records much sought after by fans from all over the world. 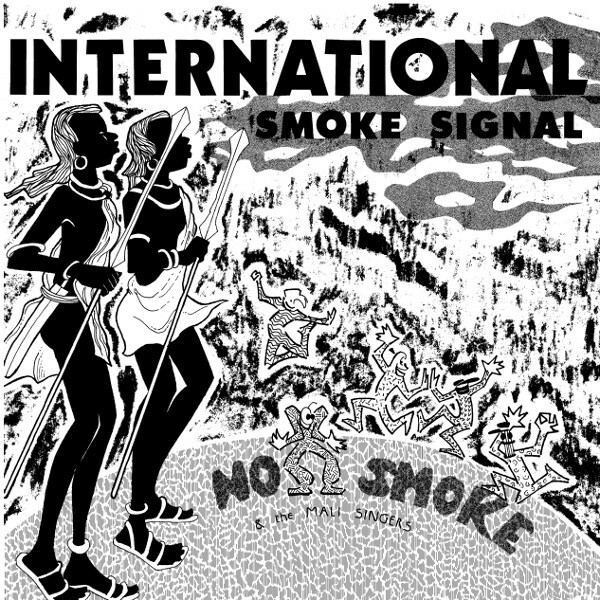 When 'International Smoke Signal' landed in 1990 there was nothing else quite like it in the musical landscape, the perfect sonic example of the Warriors Dance ethos and style incorporating all of the influences and grooves that made the label's output so unique, a sound heavily inspired by the preceding period in London and the UK where hip-hop, soul, reggae, rare groove and acid house were played side by side in the warehouses and empty spaces of former industrial areas. Throughout the late 1980's these often drab and dangerous places were transformed by local DJ crews like Soul II Soul and Shake ’N’ Fingerpop with more to offer those looking for an open-minded party scene new places to explore, in turn switching people on to broader styles of music. It's all in here, the heavy breakbeat driven B-boy house flavour of the album version of the classic 'Koro Koro', the Manu Dibango featuring tribal acid groove of 'International Smoke Signal' to the percussive and ultra-deep stylings of 'Oh Yes (Freedom)' the LP encapsulate a time and place yet continue to capture the imagination today. Timeless music. There's no doubt the No Smoke project is a direct influence on the deeper, tribal house sounds around today and pioneered the afro house sound alongside ‘Yeke Yeke’, ‘Motherland’ etc as the acid house phenomenon swept the world. ‘Koro Koro’ is the omnipresent anthem which was broken at London clubs like Confusion by Bang The Party’s Kid Batchelor and RIP which went on to blow up in New York, and was then signed by Profile Records. Hugely sampled and still played to this day. 'International Smoke Signal' fuses the otherworldly science of dub and reggae with Bronx breakbeats, synth laden ambient house excursions and the heartbeat of mother Africa with the technoid thrum of the motor city effortlessly, all while maintaining its London roots and swagger. A true dance music masterpiece. This is the first time the LP has been remastered and reissued, spread across 2 heavy slabs of high quality vinyl for maximum sonic impact. Made in conjunction with the Warriors Dance family and Tony Addis. Special thanks to Nicky Trax & Tony Addis. Remastered by Optimum Mastering, Bristol UK. Proudly distributed by Above Board distribution. 2018.